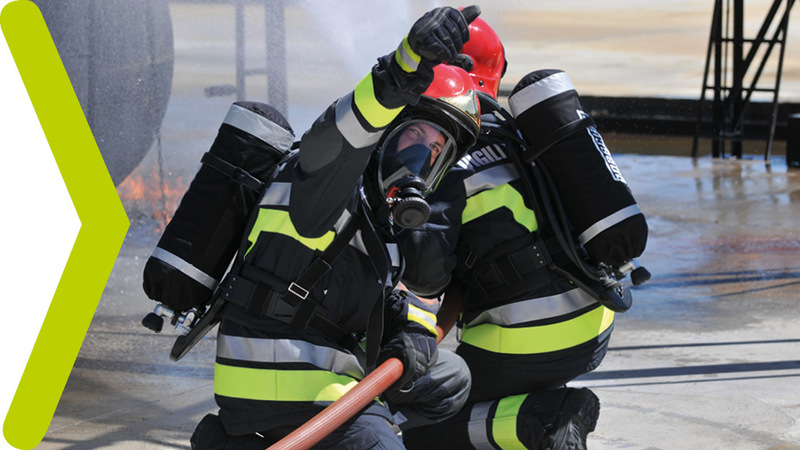 Fire, flames, toxic gases: these and many other risks have to be faced by firefighters and rescue teams. SPASCIANI offers with the RN FR a tool that allow to safely meet any situation. The Rescue hood is a constant flow hood, used in case of emergency to help people in need. It is extremely easy to use and can be worn by anybody regardless their face shape and size. 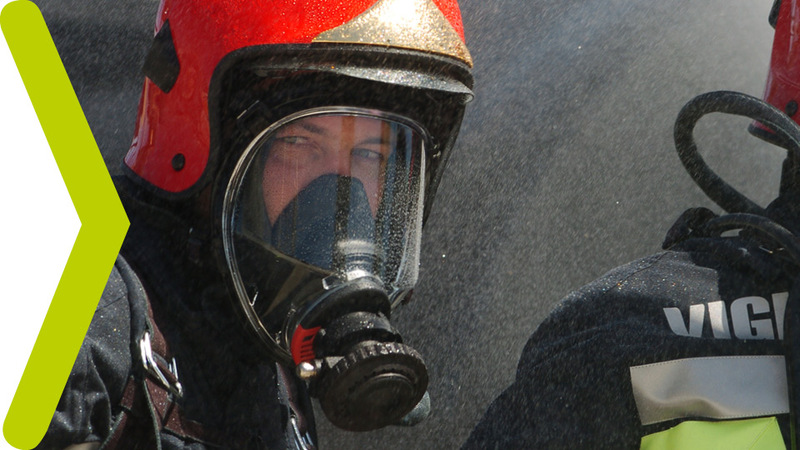 The Rescue hood can be used with every SPASCIANI respirator connected to the second air outlet. The hood is rapidly and easily activated by connecting it to the second man air outlet, placing it on the casualty’s head, tightening the hood’s string. The kit is held in a fire-resistant bag that can be hung to the waist belt, owing to velcro loops. It includes Rescue hood and 1200 mm breathing hose. The Rescue hood has been tested and approved according to EN 137:2006. The mask TR 2002 BN “Multi-Purpose” can be used either with a breathing apparatus or with a filter, as it automatically switches from negative to positive pressure settings. The full face mask is able to work both in negative and in positive pressure thanks to its special device, unique and patented, that recognizes automatically the system connected and pre-charges the mask valve when it is used with a positive pressure apparatus. The mask is composed by a panoramic visor with wide visibility and face blank with double revert seal. The TR 2002 BN can be used with breathing apparatus SPASCIANI with demand valve BN with bayonet quick connector according to DIN 58600. The mask can also be used with filters, e.g. like the SPASCIANI series 200, or negative pressure respiratory devices with standard screw connector (EN 148-1). 3 minutes more of air are extremely important when one works in critical conditions, during firefighting or in rescuing. 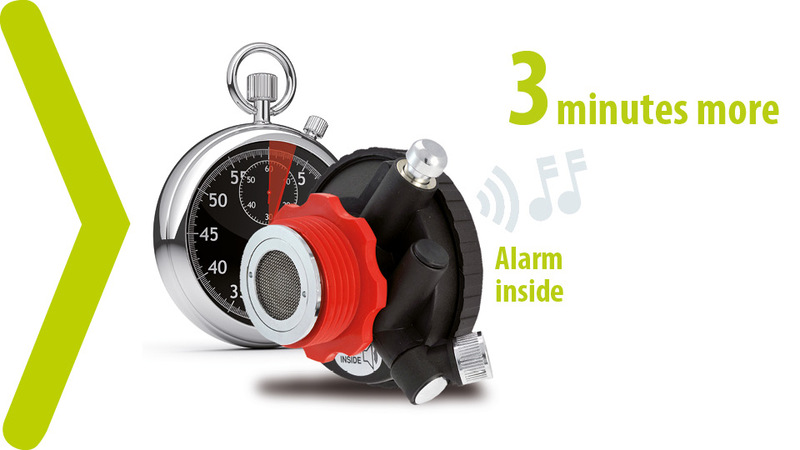 For this reason SPASCIANI developed and patented AIS Technology, a unique acoustic alarm integrated in the demand valve, which warns when the air in the cylinder is running out and activated by the wearer’s inhalation without air waste. It’s a system safe and protected from external agents, such as frost or dirt, that extends up to 30% the time available to quit, in all safety, from the operation area.